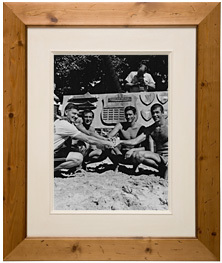 Growing up as a kid in Santa Cruz, California, Johnny has been surfing waves practically all his life. 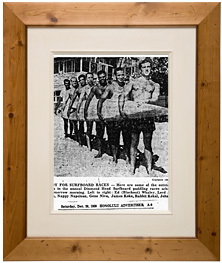 In 1949, he bought his first surfboard, "The Octopus," from big wave rider and now author, Fred Van Dyke. 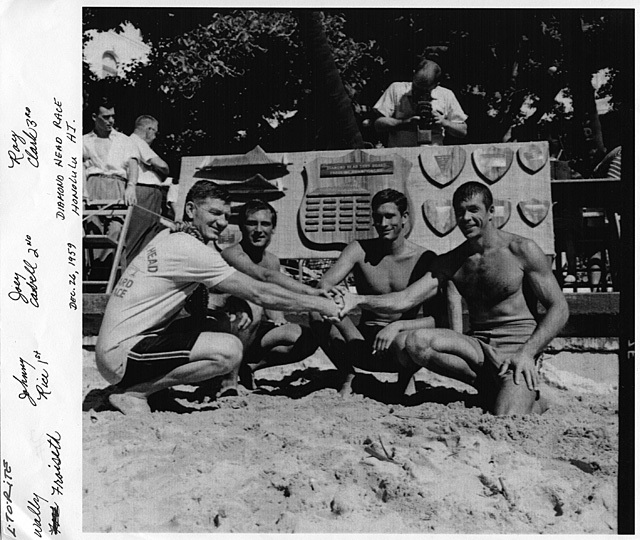 He thoroughly learned about the science of waves and wave riding through time in the Coast Guard and personal travels that brought him to places such as Florida, Brazil, and Hawaii where he worked as a "Beach Boy" in Waikiki. Chasing waves and living a self-proclaimed gypsy lifestyle, Johnny has been blessed to be able to surf some of the finest waves around the world. 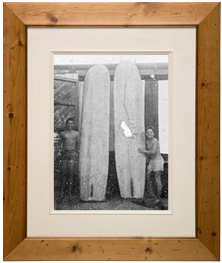 Johnny has also been designing and shaping surfboards for over 50 years now. 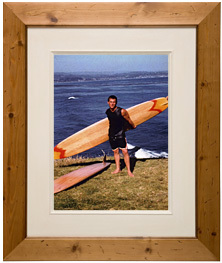 He was first taught how to shape boards by his late friend and legendary fellow surfer/shaper, Dale Velzy. 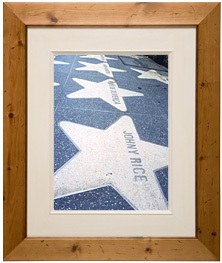 Since then, Johnny has been a pioneer surfer and one of the first to bring hot-dogging to Northern California. 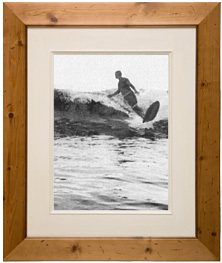 A Master Shaper, he has created many innovations that influence surfing and manufacturing world wide. He credits Dale Velzy for passing on the knowledge when Johnny shaped for him on the Southern California beaches of Venice back in 1954. 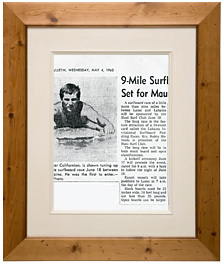 Afterwards, moving back up the coastline to his original hometown of Santa Cruz. 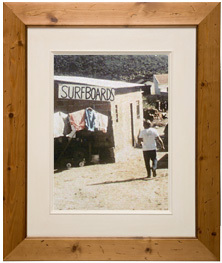 Johnny opened up his first surf shop in nearby Aptos. 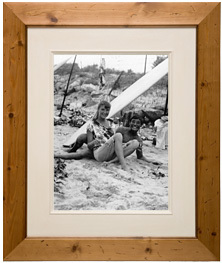 He eventually joined the Coast Guard in 1956 and found himself stationed on the East Coast. There he worked up and down the Atlantic coast from New Jersey to Florida. 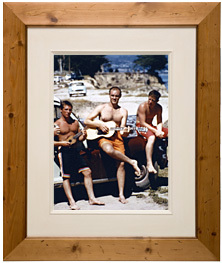 Johnny continued to surf and shape boards while doing his eight years in the Guard. In 1970 he packed up again and landed in South America. 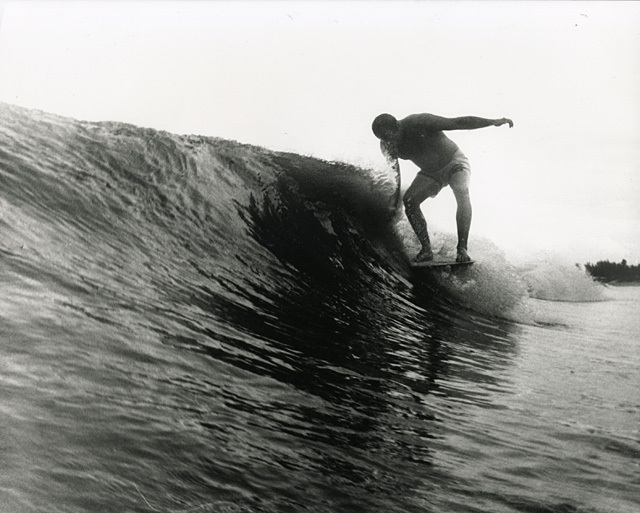 His Johnny Rice Surf Shop in Brazil exposed world-class surfers to world-class shapes. After spending five or so years in Guarujá, a small surfing-rich town near São Paulo, Brazil, he moved back to the States to Ventura, California. There he worked as a Master on a 3000 goss ton ship for the Merchant Marines and shaped his boards when he was back on shore. In 1986, Johnny finally returned home to Santa Cruz to set up shop which he still works out of to this day. 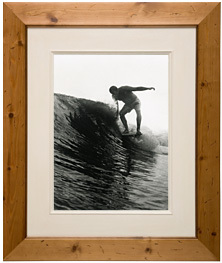 Much more grounded now, Johnny continues his passion of surfing and shaping boards everyday. 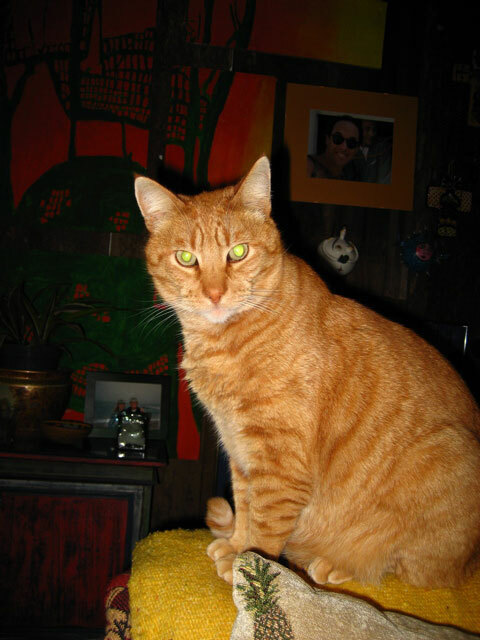 He lives just steps from the famous Steamer Lane, one of the best point breaks in the world, with his wife Rosemari Reimers Rice and their adopted cat Clifford. When not surfing or shaping boards, he enjoys the sun and the company of good friends --- as well as, the occassional surf trip to places like Mexico. Below are a handful of Johnny's more memorable photos and news articles taken through the years. (You can click each image to enlarge.) 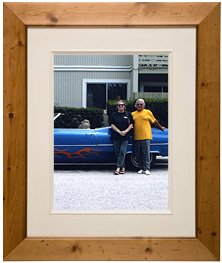 You can also see more of Johnny, his family and friends in the Photos section. To read an article about Johnny on Coast News, click here. To watch a video of Johnny shaping a blank on YouTube, click here. 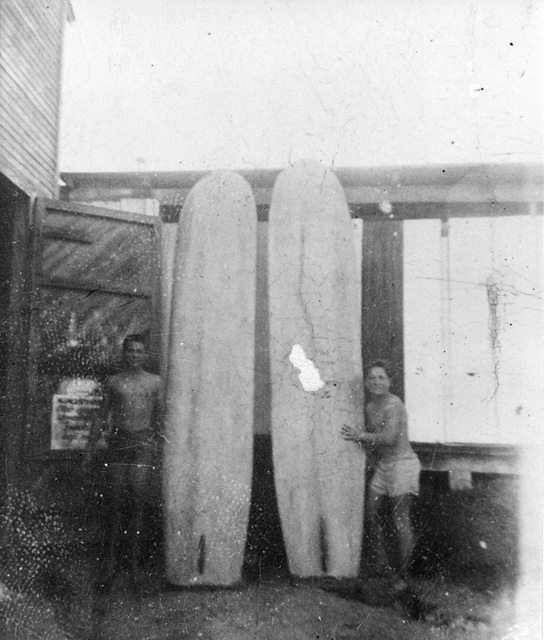 Johnny and Mike Winterburn: These boards were stored in the Santa Cruz Surf Club and they belonged to Bill and Bob Meistrell (owners of Body Glove.) The Korean war was going on at the time and Bill and Bob were doing their time in the Service. 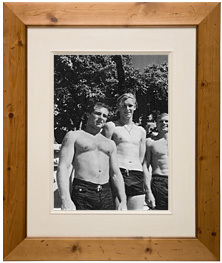 Johnny and Mike used to break in and use the boards. 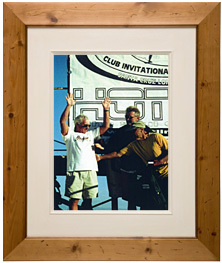 Bob still has one of these boards in his shop in Redondo Beach, CA. 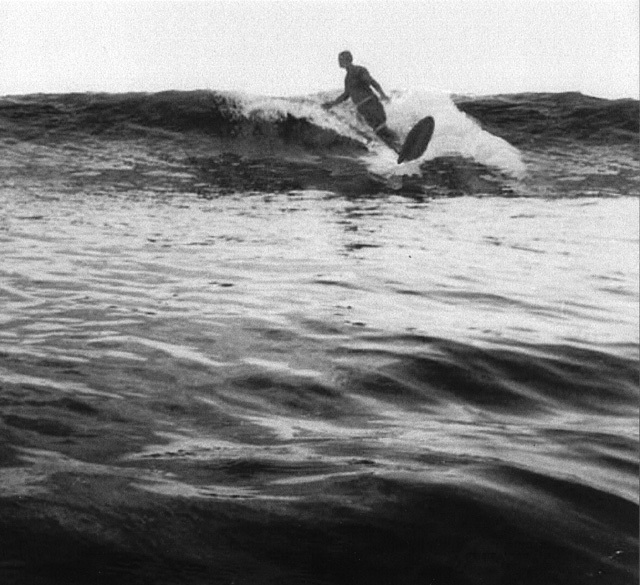 Johnny surfing at Marine Street, Manhattan Beach, circa 1955. 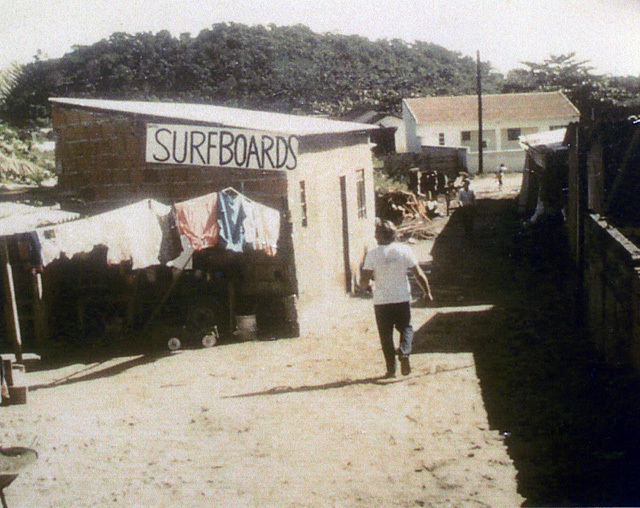 Johnny walking to his shop he built in Guarujá, São Paulo, Brazil. 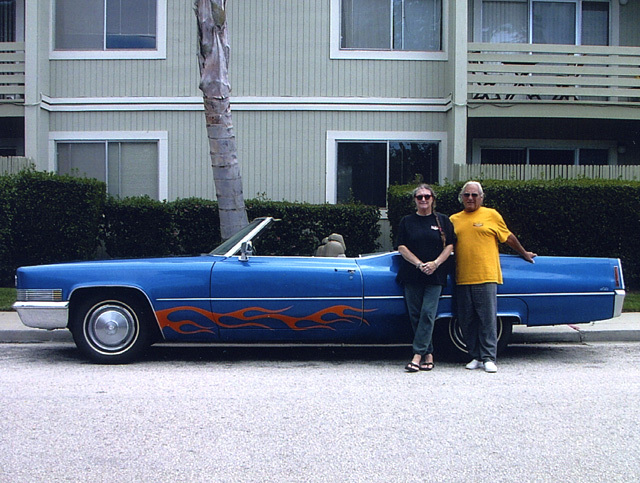 Johnny and Rosemari standing in front of their 1970 Caddy. Johnny has a board that matches the color and custom flame graphics. 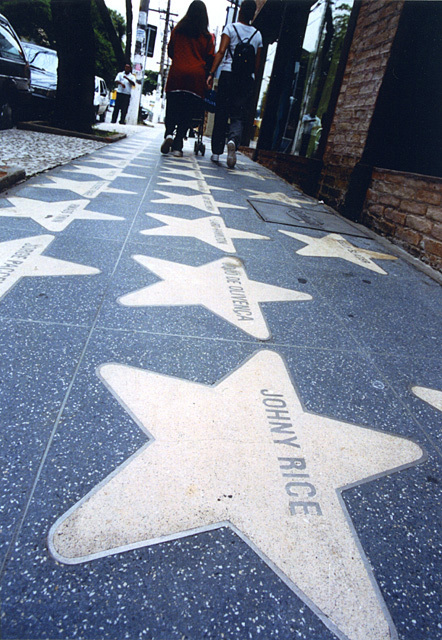 Johnny's name put in the "Walk of the Surfer Stars" in Guarujá, São Paulo, Brazil. 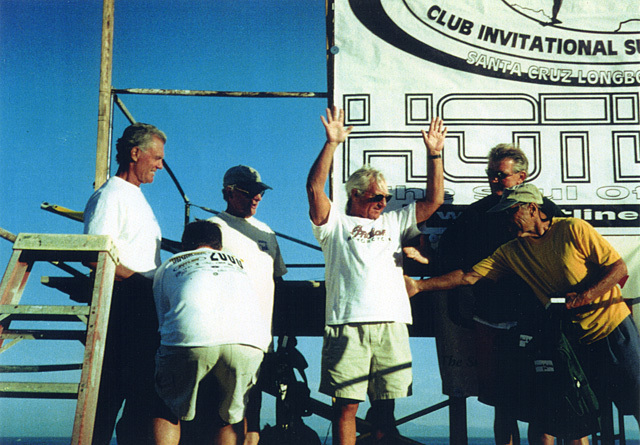 Johnny winning the Grand Masters contest at Steamer Lane, 2000. 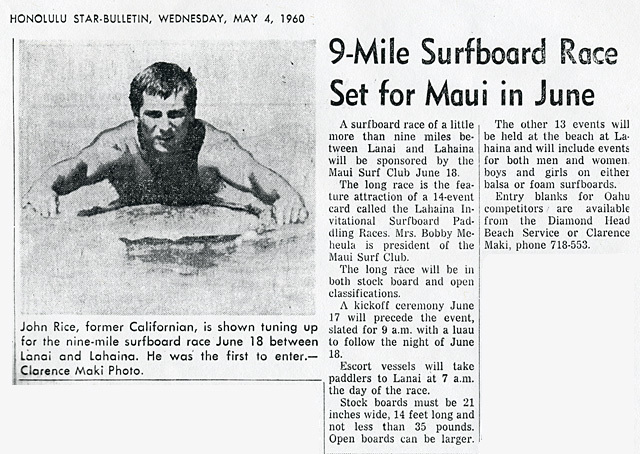 An article about Johnny, a Californian, winning the paddle race in Hawaii, 1959. 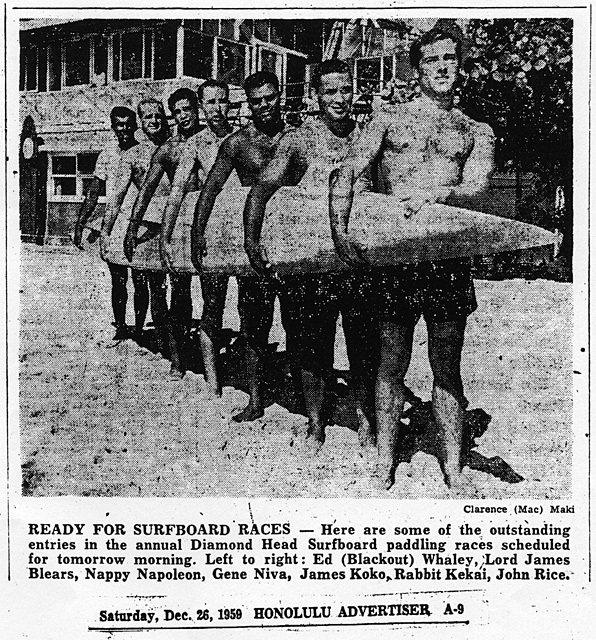 Another article with Johnny racing in the Hawaiian paddle board races, 1959. 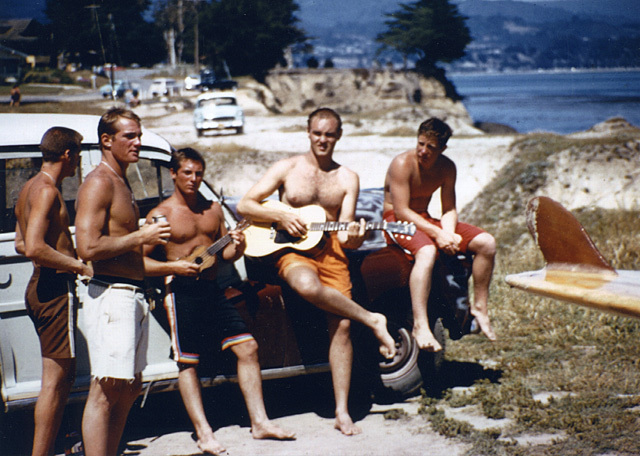 Wally Forsith, Johnny Rice, Joey Cabell and Roy Clark just before the paddle race, 1959. 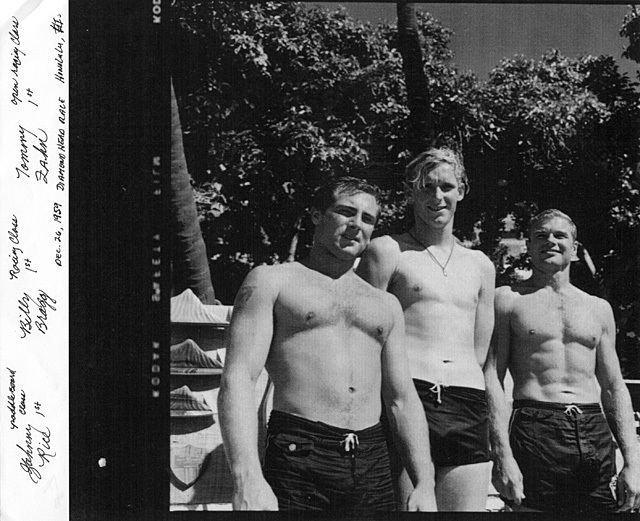 Johnny Rice, Bill Briggs and Tommy Zahn after the Diamond Head race 1959. This is where Johnny came in first in the open race class. 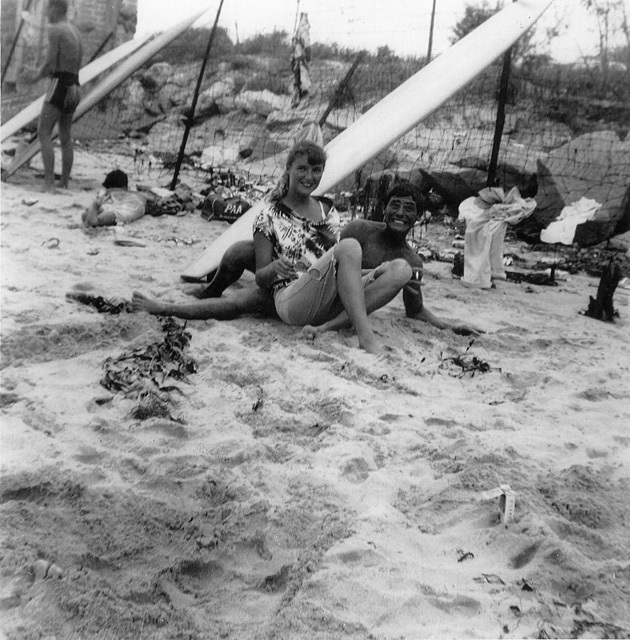 Rosemari and Johnny hanging out in Malibu, 1954. Hanging out at Pleasure Point where Jack O'Neill's house is now. Jerry Colfer, Spike Bulls, Johnny Rice, Al Palm and Mike Winterburn, 1957. 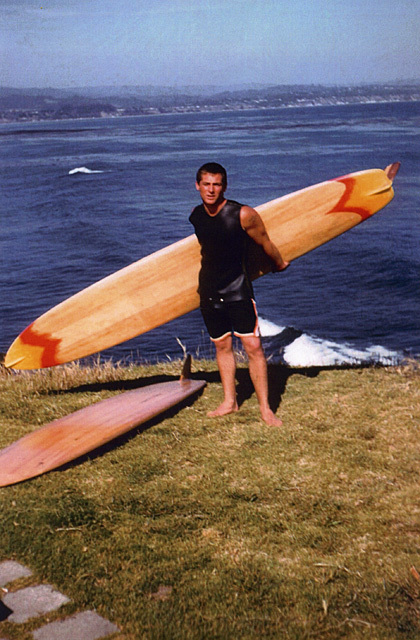 Johnny at Pleasure Point with a board that Dale Velzy built for him. Check out the fin system on this board, 1957. 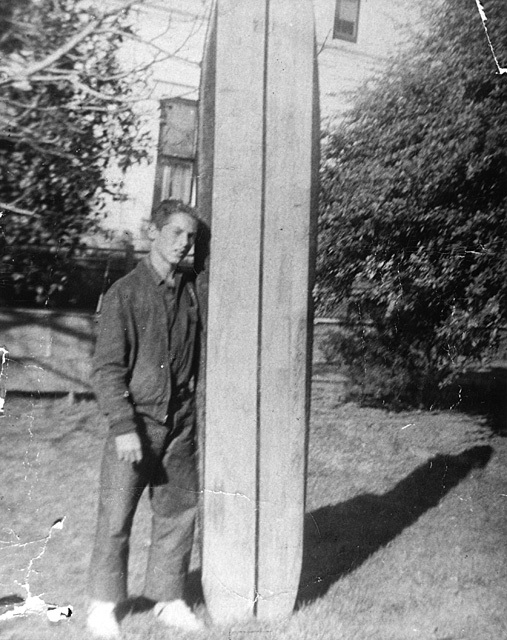 Johnny with his board when he was 12 years old. 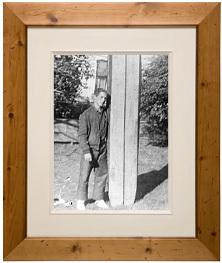 The balsa and redwood board was shaped by Ted Pearson.